Back in the early aughts, there was a nagging fear in the zeitgeist that a coming "phone cam" tsunami would wipe away what tattered shreds of civility we had left. As it turns out, those alarmist calls were somewhat prescient—at least in the sense of how everything would soon change. That's not to say that what came afterward was necessarily worse. Sure, there have been incidences of our mobile "cams" leading to gross invasions of privacy, but overall I would argue that camera phones have improved our lives. Thanks to our mobile gadgets, we all have the power to capture, share, and access images and video from around the world instantaneously. It has changed the way we express ourselves (memes and the rise of #selfie culture), eat (it's not a meal unless it's been on Instagram), and even the way we make with the nookie (there indeed is an art to sexting). Right now, people are walking around with super powerful digital cameras in their pockets, allowing them to beam their POV to the rest of the world instantaneously—all super hivemind style, language barriers be damned. That's kind of amazing. For its part, the public has enthusiastically shrugged off any privacy concerns it may have once had and learned to embrace mobile photography. And gadget makers have responded with better and ever more capable digital cameras. Chances are, you're not even taking advantage of all the cool things your phone's camera can do. Check out our Post for 5 truly amazing (as well as a few ridiculous) smartphone camera tricks. This happens because most digital camera sensors have the ability to pick up frequencies of light invisible to the human eye. But sometimes they will (imprecisely) translate these frequencies into the display's image. We were able to recreate this "glitch" on a variety of modern Android devices (the Galaxy S5, S6, and S7; Moto X; HTC One M9; and Nexus 7) and even on one old-school Samsung flip phone. 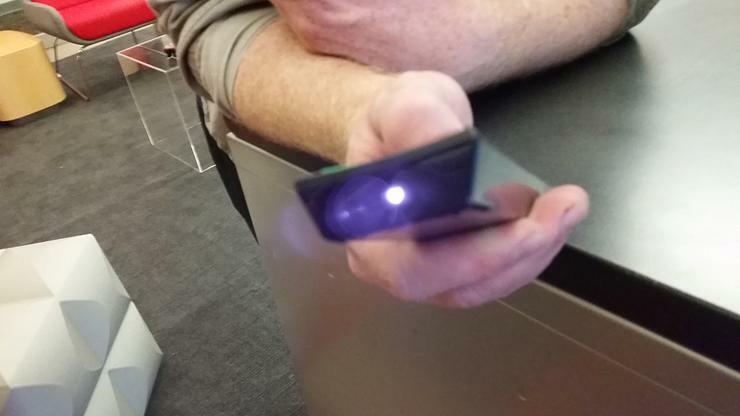 However, we were not able to see the beam of light render on an iPhone 6 or iPad Air 2. This is probably because these devices have superior "IR Cut Filters," which theoretically make for better photos. (Though, don't despair Apple fans, we were able to see the beam of light on a MacBook Air). It's a simple, but useful little trick that people may not know. Just stick your phone's lens right up to the telescope and you'll be able to capture the magnified image on the other side. 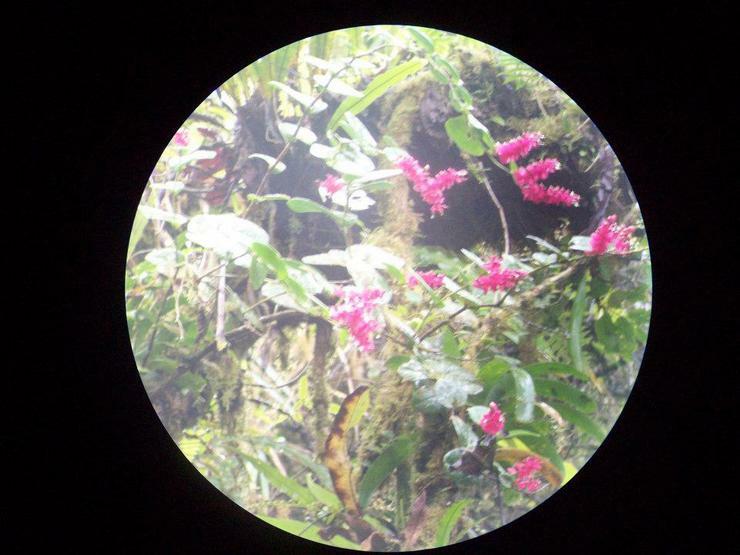 The above photo was taken by my phone through a telescope during my honeymoon in Costa Rica. I think there was supposed to be a bird or something, but it was a jerk and flew away before I took the shot. Works with binoculars, too! Taking selfies is serious business. But it doesn't have to be a difficult one. It's surprising how many people don't realize that you can just hit either volume button (on most phone models—both iOS and Android) to snap a picture. You don't have to hit the virtual button that's on your screen. This works one both the front- and back-facing cameras, but it's particularly handy when shooting a selfie. If you didn't know this before, you will never go back to shooting by tapping the screen. We were able to confirm this feature on various iPhones and several Android models. Let's start off by saying that this isn't the best way to do this. 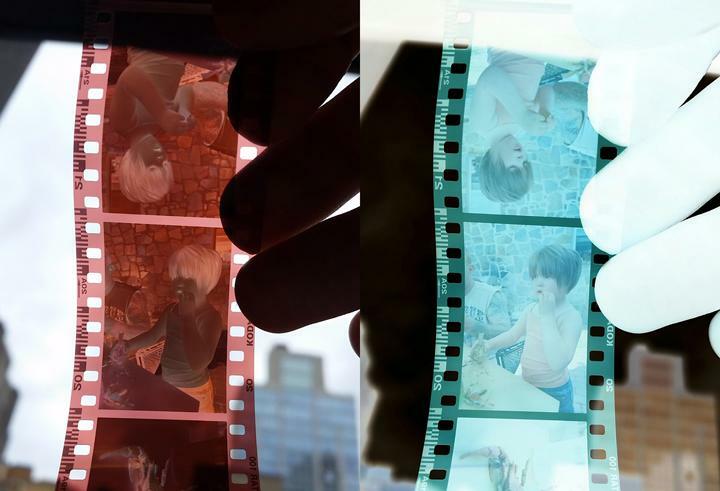 PCMag's resident photography expert, Jim Fisher, recommends a Lomography or Plustek OpticFilm scanner if you want to digitally capture your old negatives the right way. BUT, if you want a quick and dirty way to digitize (or just view) your old film negatives, you can use your camera's negative effect (as seen above) or take advantage of some of the many specialized apps like the HELMUT Film Scanner (available for Android). Some have taken to calling this camera to hack a "PanoDriveBy." Most modern smartphones come with some sort of stock "panorama" function that allows you to capture big wide vistas by stitching together various images as you tilt or move your camera (there are also plenty of third-party apps that do the same). While these are designed to be used by one person standing in one place, you can also make them work while in transit—just hold it steady and point it out the window. 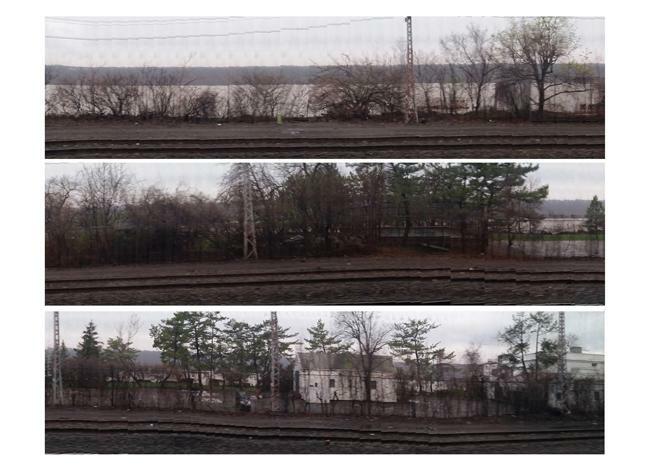 The stitching can sometimes be a little iffy (as you see above in my example from using the stock panorama app on my Galaxy S5 during a train ride along the Hudson River), but that can add a cool effect in and of itself.